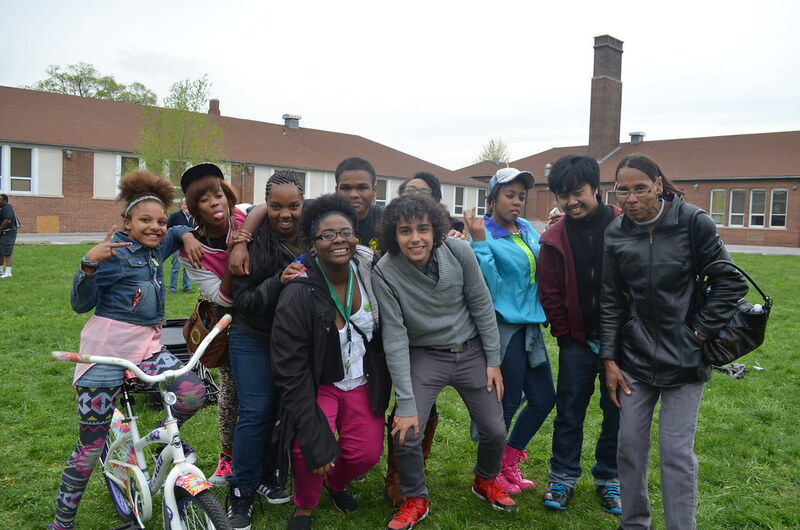 We are a group of students who live in Curtis Bay - a community in Baltimore, MD. We organized for 5 years to stop a plan to build the nations' largest trash burning incinerator less than a mile away from our school - AND WE WON! The incinerator was permitted to burn 4,000 tons of trash per day and emit 240 pounds of mercury per year. Our community already has the highest level of toxic air emissions in the state, and as recently as 2008, in the entire nation. As we went out and talked to our neighbors, we realized that hardly anyone was aware that the incinerator project even existed. Those who were aware were mostly against it and yet, the project would have moved forward. We believe that as human beings, we have the right to make decisions about issues that impact us and that we have a right to live in healthy communities. We have come to realize that in a situation like this, we need to build power and unity in order to make our voice heard. Now that we successfully prevented a major environmental injustice - we are organizing towards realizing a positive Fair Development vision for our community. We better find or use this as our motto moving forward. For fence services and professional installations near Atlanta, go check out https://www.atlantafencepro.com. Great stuff, love seeing people rise up for a good cause to produce change in the community, keep it up! This is amazing, way to set an example for other kids. I’m proud of each and every one of you. You all are going to do great things in life and will leave a lasting impact on the world. Way to take a stand kids! United, your voices will be heard. I’m all about making sure kids are safe at their schools so they can learn their best and be prepared for the world and challenges ahead of them.